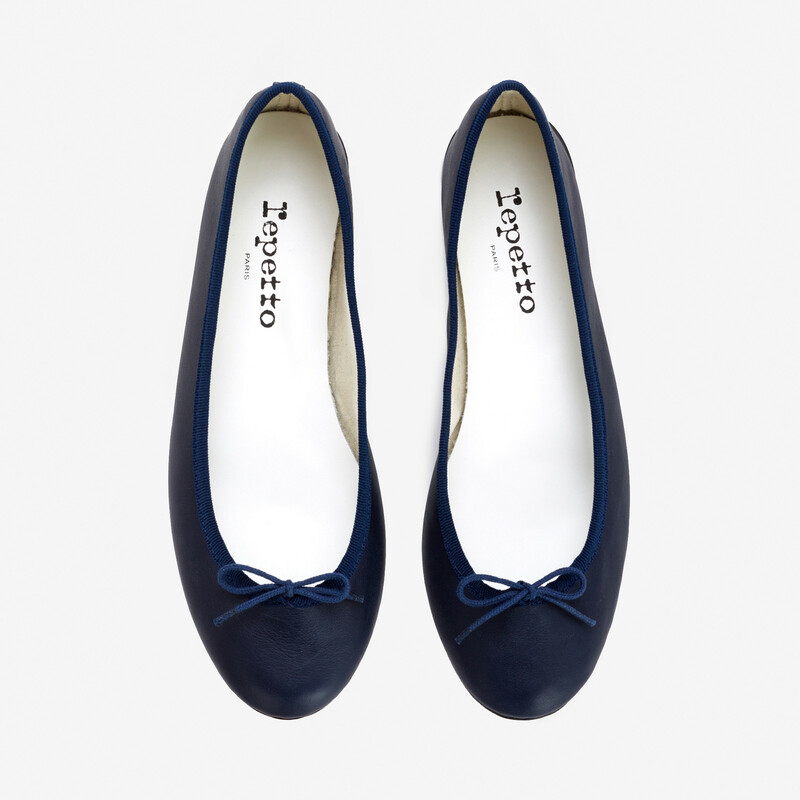 The famous French fashion house Repetto has succeeded to create several styles which have left a strong impression in the history of fashion. 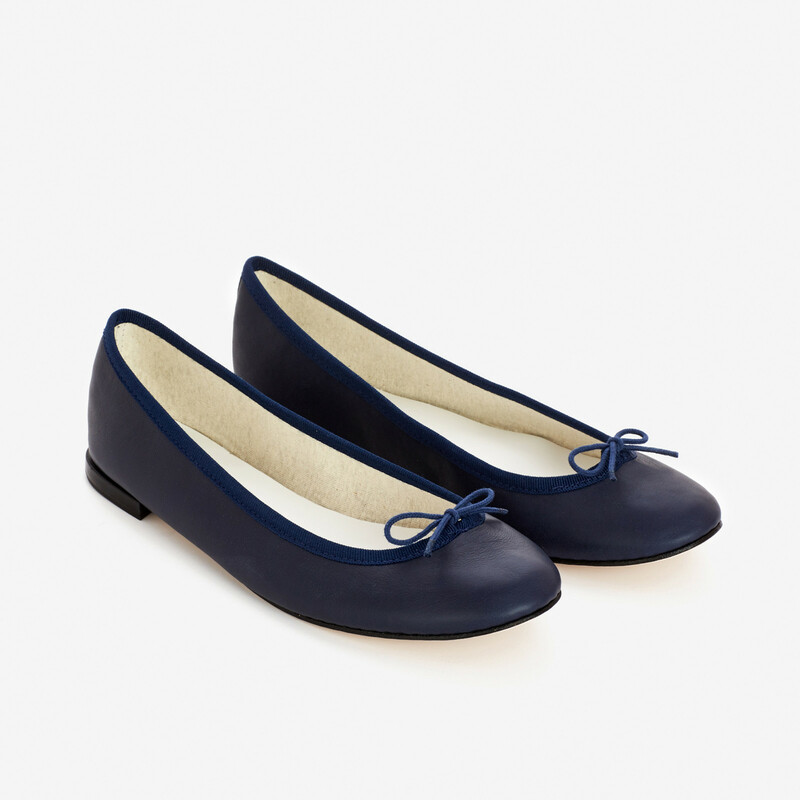 Cendrillon Ballerina shoe is honoured by many celebrities and style icons like Alex Chung and Sofia Coppola among others. The style was first made in 1956 and still today Cendrillon is updated with new season colours and new materials every season. This wardrope essentiel is made from smooth dark blue calf leather. The edges are finished with cross grain binding. And the delicate cotton lace can be adjuste. Read more.. This wardrope essentiel is made from smooth dark blue calf leather. The edges are finished with cross grain binding. And the delicate cotton lace can be adjusted for perferct fit. Insole in delicate sheep skin and lining in ecru coloured cotton canvas. Thin sole in brushed leather is stitched inside out and returned, offering incomparable softness and comfort. Heel made from black stacked leather. 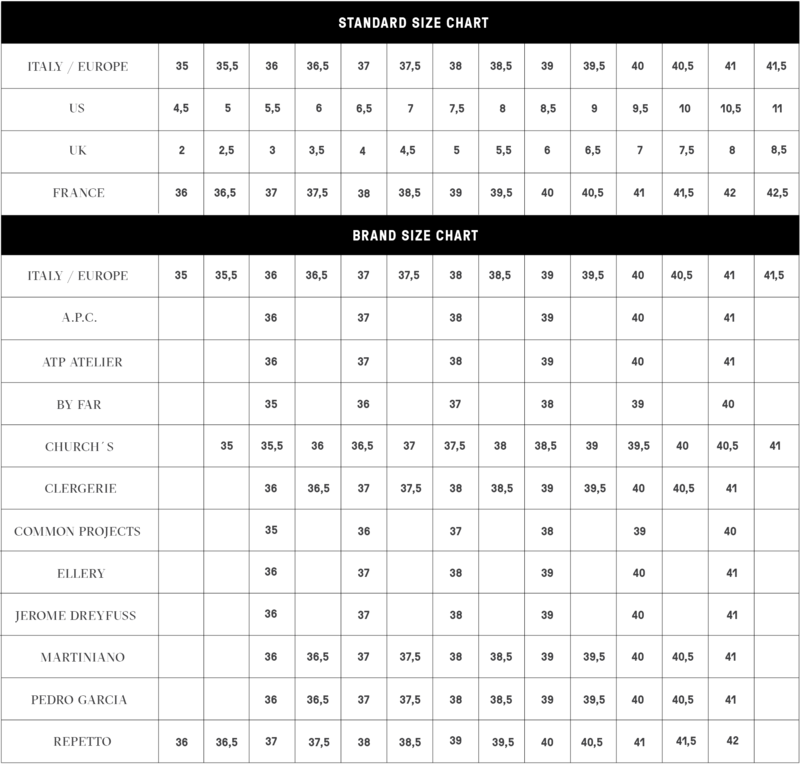 We recommend taking one size up e.g. taking size 38 in Repetto for Italian size 37. 1 x Cendrillon Classic Blue was added to your shopping bag. 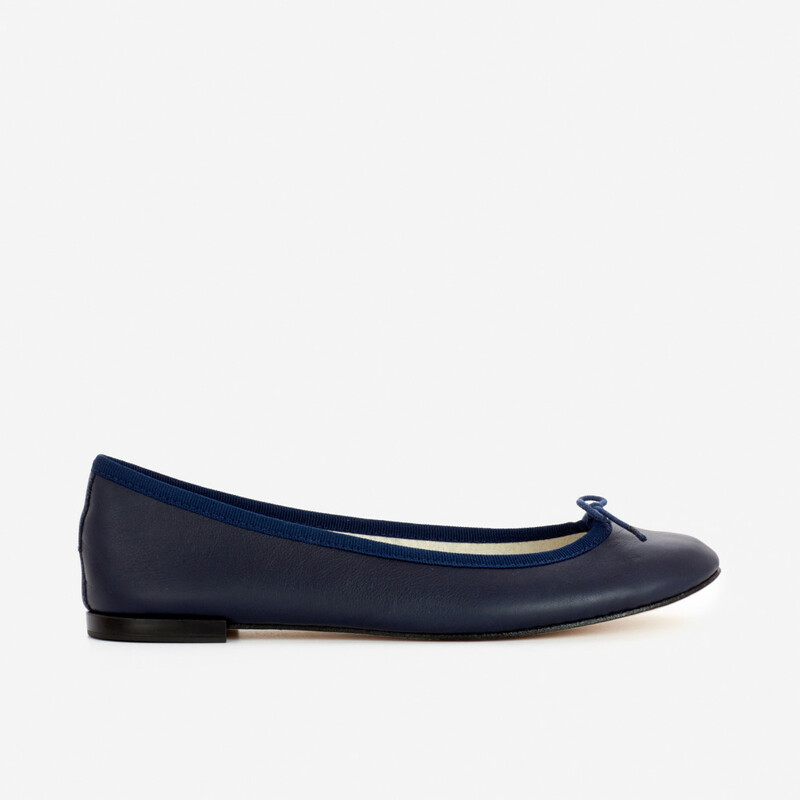 1 x Cendrillon Classic Blue was added to your wishlist.